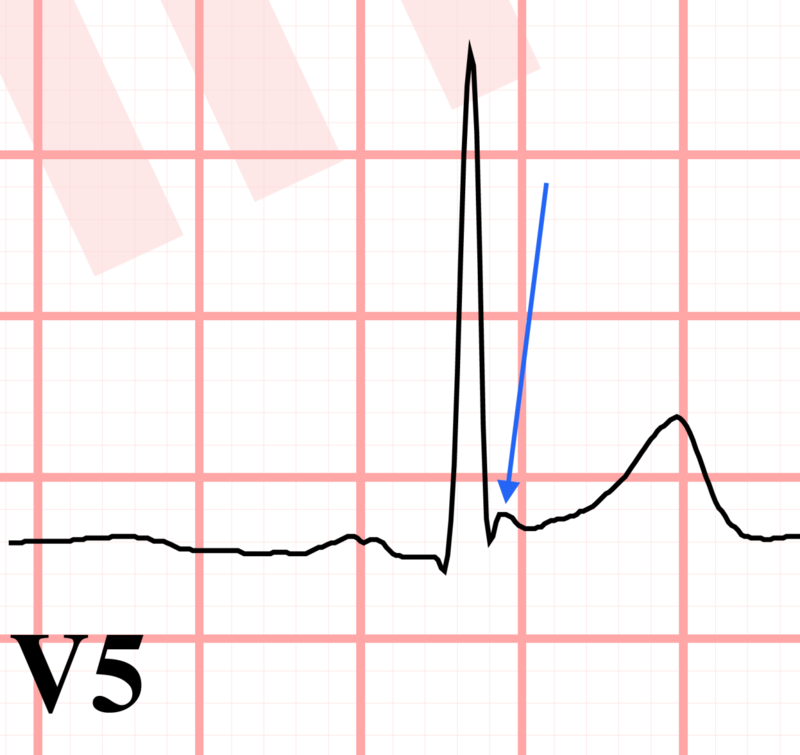 During this time, the ventricular muscle is contracting (or fully contracted) and the voltages within the ventricles are relatively unchanged (which is why the normal ST segment is isoelectric and flat). 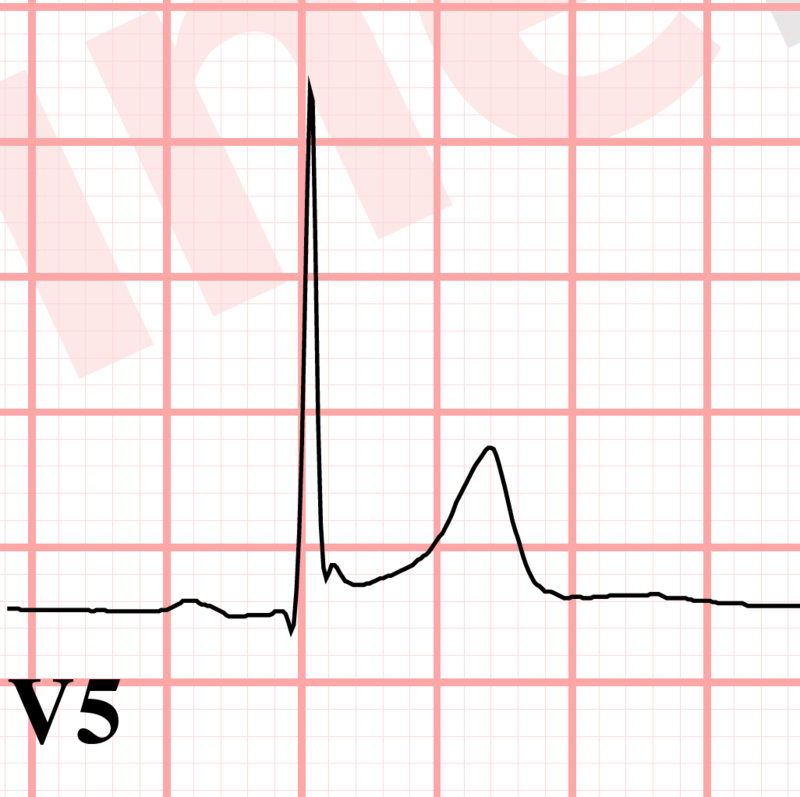 This is the interval between ventricular depolarization and repolarization. 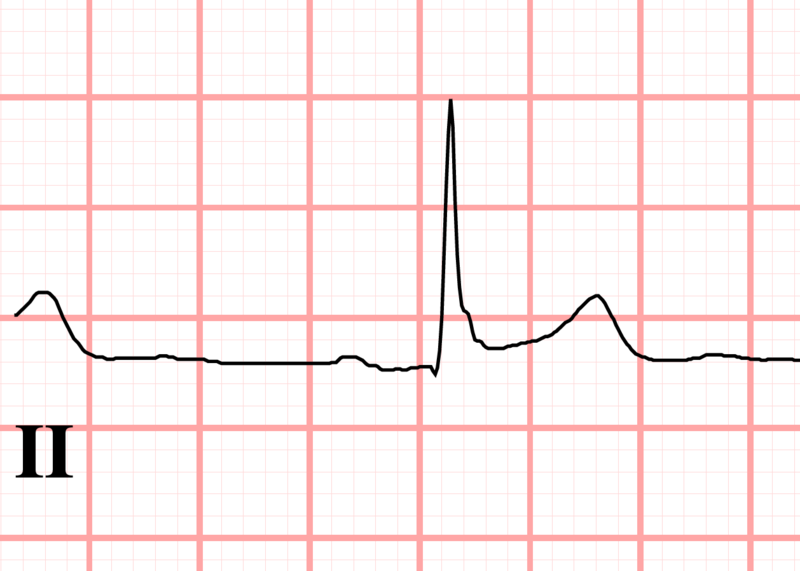 These above 2 examples came from the same ECG, but in 2 different leads. It is possible to have J point depression and elevation at the same time. Sometimes the J point is easy to identify, as is seen in the above images. Sometimes, the J point is more diffuse and less obvious to identify, as in the following examples. In the first example, the 2 arrows define a "range" of the J point. Even though it is diffuse, it should be clear that there is J point elevation in this first example. This example (which is V6) shows a diffuse J point and J point depression. It also shows a wide QRS and an inverted T wave. After identification of the J point, you should describe the J point as depressed or elevated. 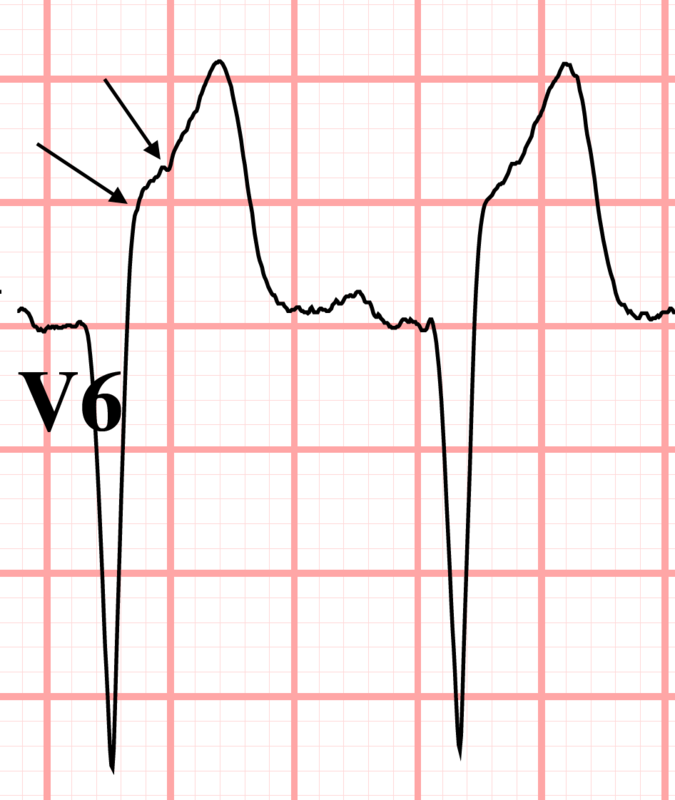 Usually the ST segment is dictated by the J point, so if you have J point elevation, you will also have ST segment elevation and conversely, J point depression will produce ST segment depression. 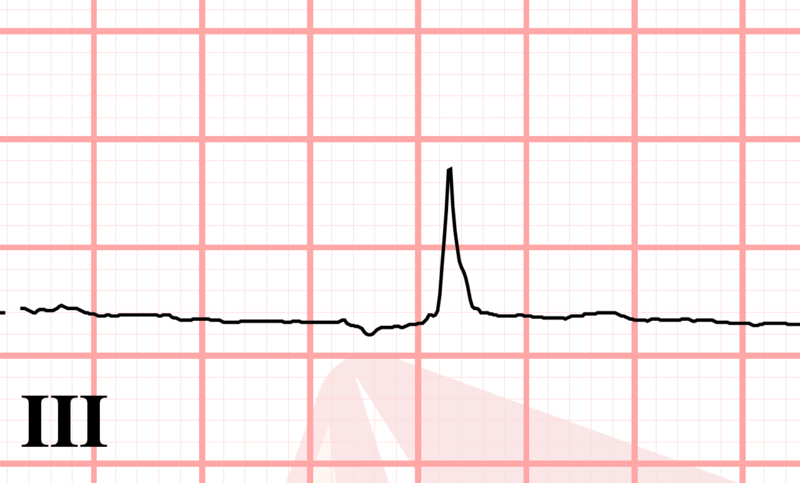 Because these notches occur at the J point, they are sometimes also called J waves. 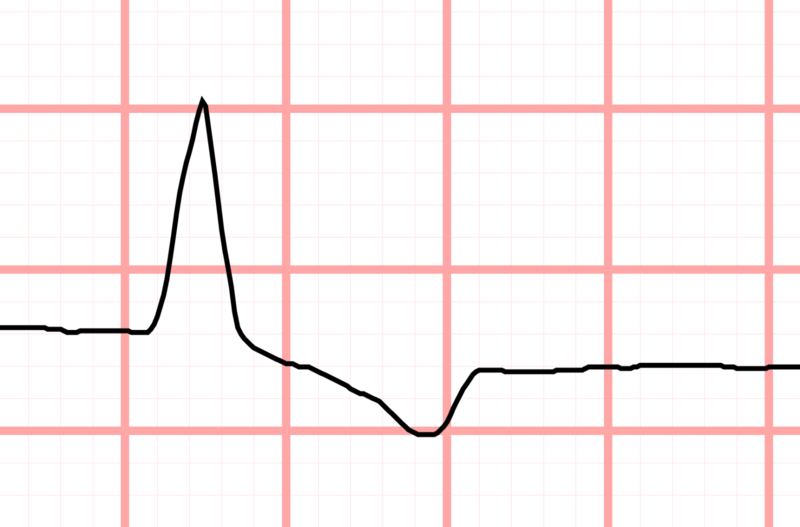 J point slurring is when the terminal portion of the QRS complex has a "less steep" slope and becomes slightly "wider". Here is an example of slurring and notching. 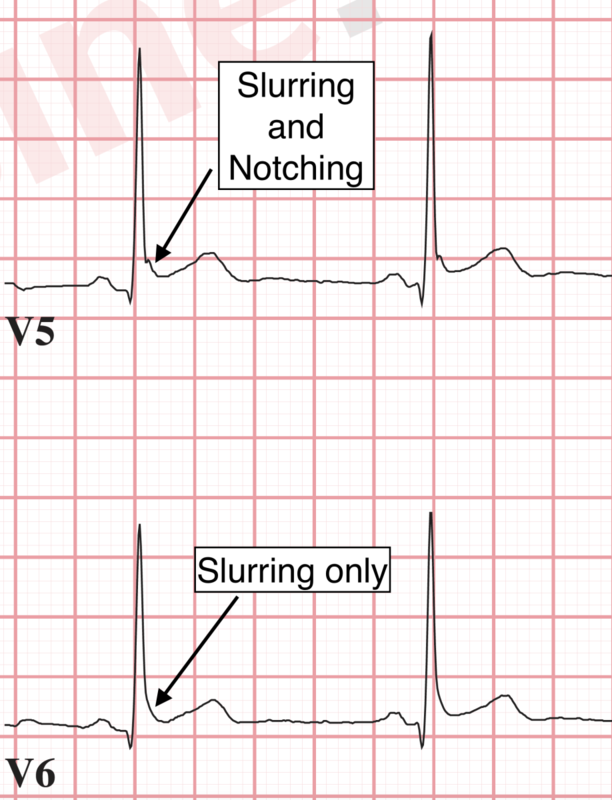 Note that V5 shows both slurring and notching while V6 shows slurring only. There are important diagnoses that can cause J point slurring and notching and these diagnoses will be discussed in the upcoming lessons. Spoiler alert: they are early repolarization (which is common) and Brugada syndrome (which is not common). 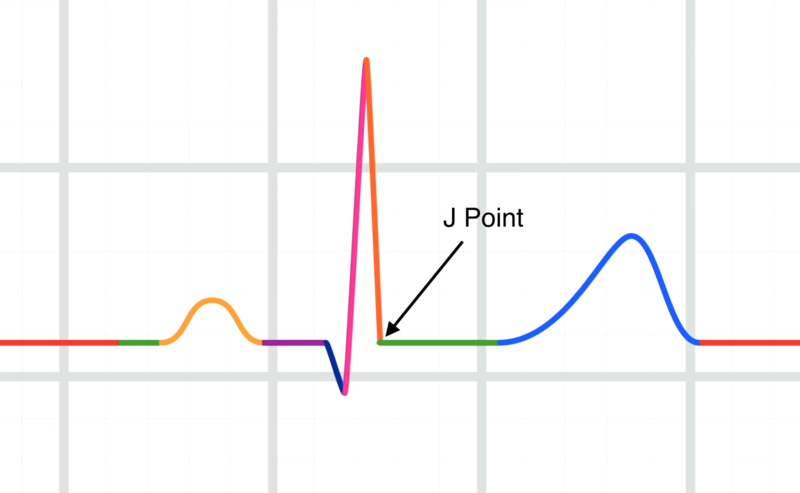 Make sure that when you analyze an ECG, you pay close attention to the J point. 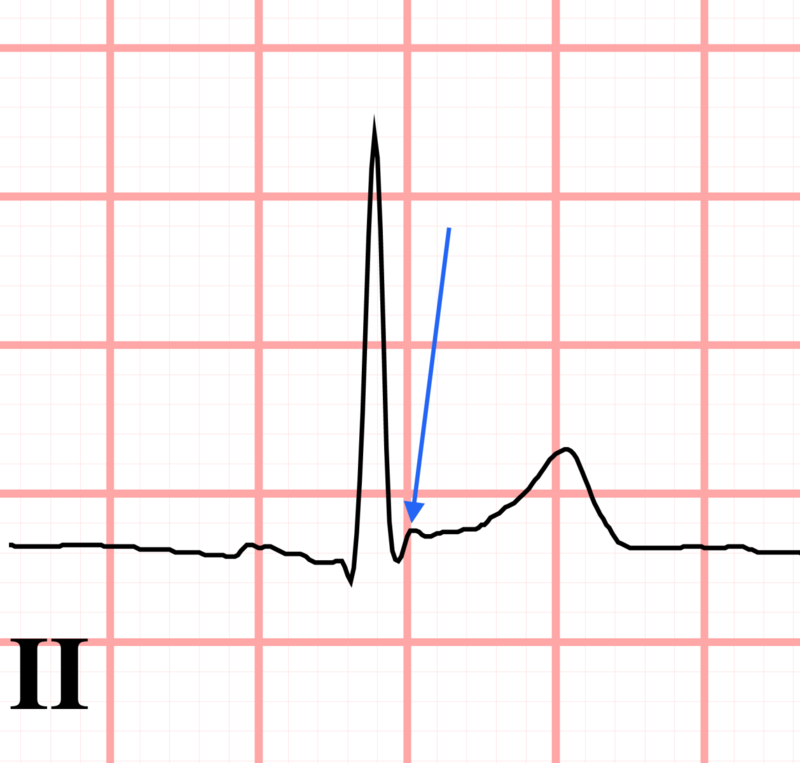 It is a very small region on the ECG, but it plays an important role in helping you diagnose different causes of ST segment elevation. This is important because one cause of ST segment elevation is myocardial infarction, but myocardial infarction is not the only cause of ST segment elevation.